There are so many great vegan brunch spots, but Champs holds a special place in my heart. 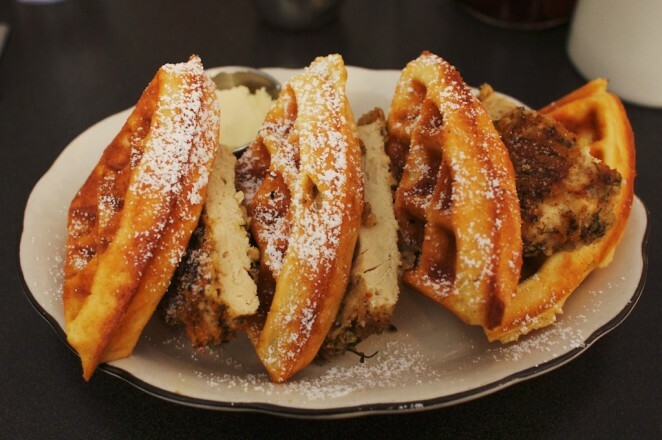 A quick trip to New York over the weekend meant brunch was first on the agenda. 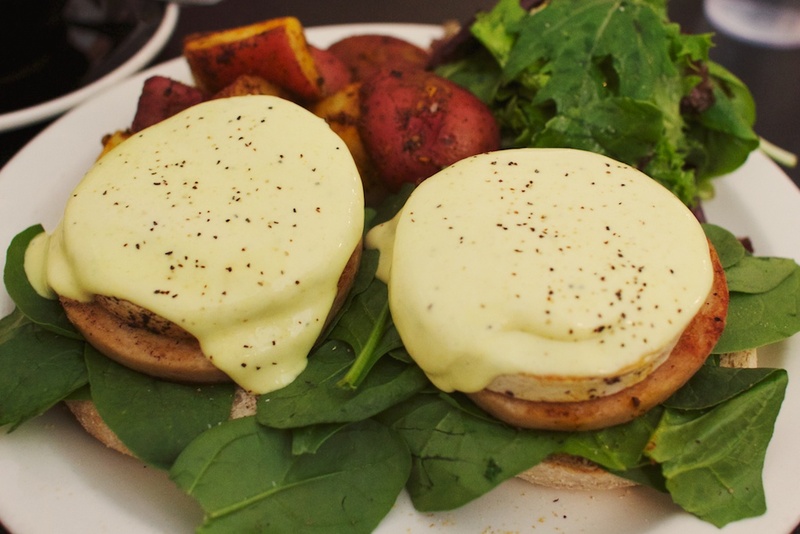 While I was tempted to get the monte cristo like last time, I went for something new and tried the tofu benedict. I was not disappointed. The hollandaise sauce was perfect and so was the combo of faux ham and tofu. Shawn got the “chicken” and waffles which were equally as awesome. We also made the trek out to Bethlehem to go to Vegan Treats. 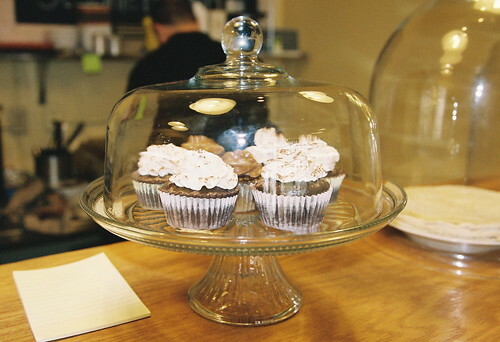 It’s always worth the trip to get some freshly baked items. I got a peanut butter tandy cake which was ridiculously rich and lovely. This was the first trip where we’ve been able to get soft serve. 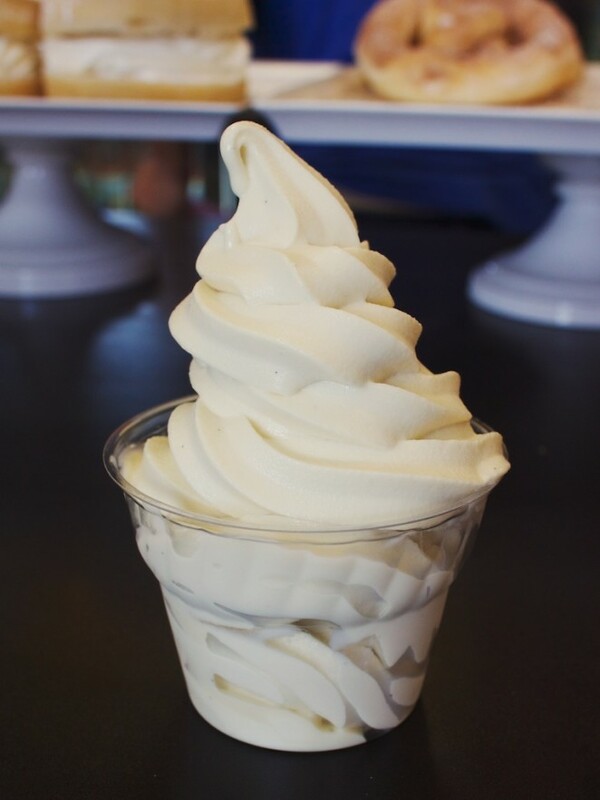 The vanilla custard soft serve was so good. Best soft serve in recent history without a doubt and perfect with the chocolatey peanut buttery cake. I’m always impressed with how beautiful all the cakes are at Vegan Treats. I love that there are always new things to try. 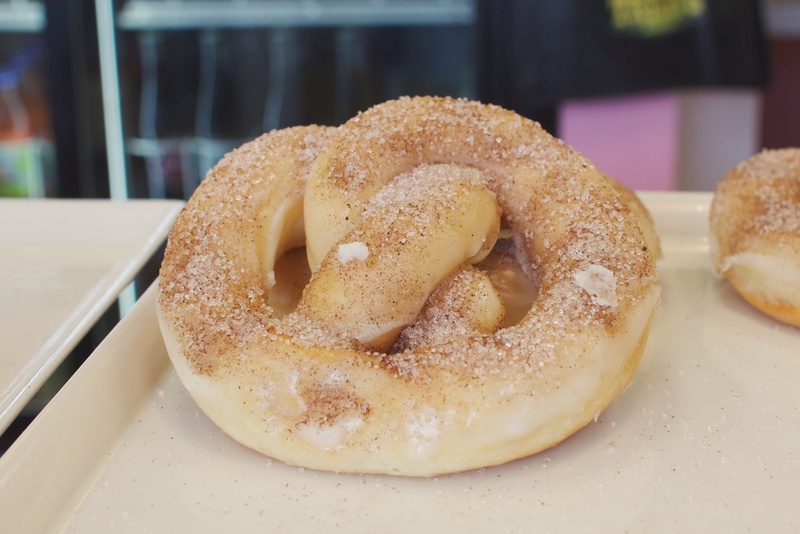 They now have a lot of gluten free options as well as lots of fun doughnut variations like the donut pretzel above. I guess it’s a good thing that these places are on the other side of the country so that I can’t eat at either all the time. Then again, that might not be so bad. 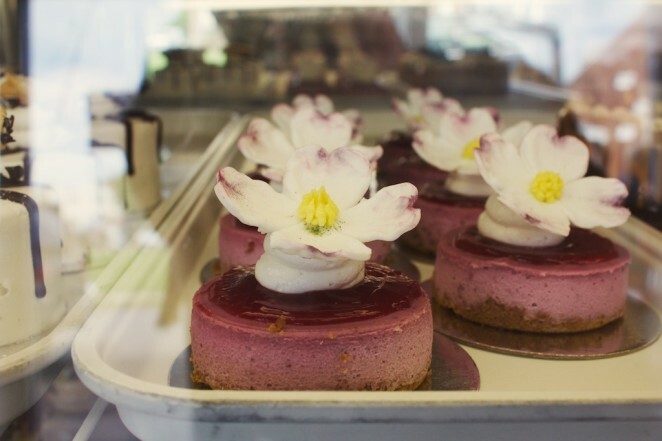 Though Los Angeles is extremely fortunate to have a number of great vegan restaurants, we are severely lacking in the area of vegan desserts. Though a few places have a few items available, and yeah I know Babycakes is open (but yes I like my gluten and sugar thank you very much), it’s just not the same as what you might find elsewhere. Luckily on our trip we were able to visit two completely vegan bakeries and sample some delicious treats. 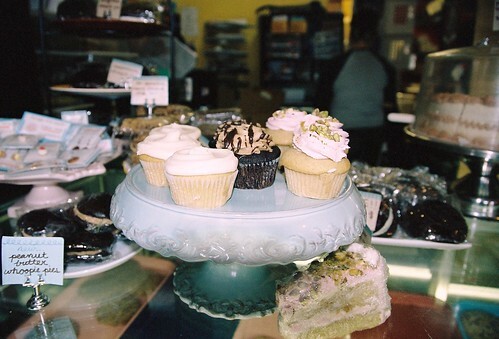 Our first stop was Pattycake Bakery in Columbus, Ohio. This adorable storefront was filled with a plethora of home style desserts including cookies, whoopie pies, muffins, cupcakes and more. They have all the stuff you’re always craving. While Shawn and I oogled over the huge selection and tried to decide what to get, the place hustled and bustled with people buying tons of stuff. We ended up getting a whole box ourselves, trying to sample as much as possible, filling it with three different types of cookies, a whoopie pie, and a cupcake. Now I’m a cookie girl and these were some damn good cookies. The whoopie pie was also moist and delicious, wonderfully sweet with just the right amount of creme filling. I wish I had tried one in the other flavors they had to offer. I think if I lived within driving distance of this place I would be there everyday getting cookies. No joke. Everything was high quality without being over the top. Pattycake Bakery was completely delightful. Also in Columbus, On the Fly, where we got the awesome vegan empanada and chili, had some desserts on display to choose from. Since we knew we were on our way to Pattycake, we didn’t have a chance to try anything, but I have to mention them anyway, because they were so gorgeous. The cupcakes were topped in chocolate ganache as well as vegan buttercream and just looked delightful. They also had jars full of cookies. Did I mention I love cookies? I do. No trip East would be complete without a stop at the infamous Vegan Treats. 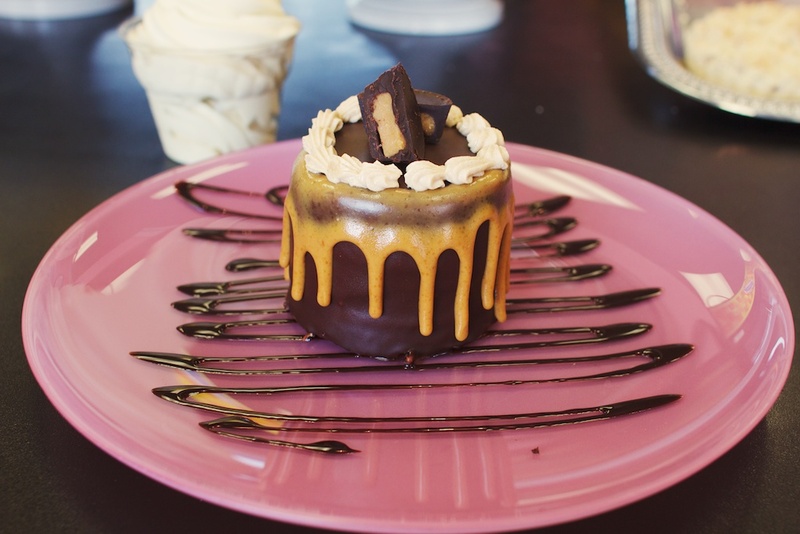 While you can get their delicious desserts at almost every vegan and vegetarian restaurant from New York to Pennsylvania, it’s well worth it to make the trip to their storefront in Bethlehem, PA. 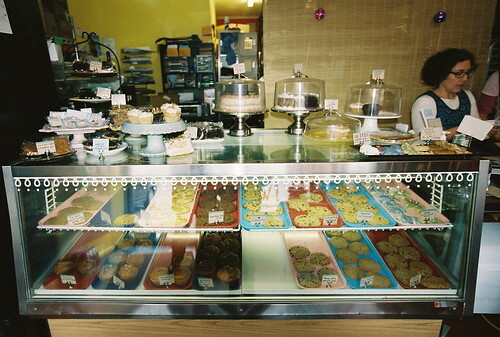 Here you can get their personal sized french pastries, along with donuts and other specialties. I’m just going to come out and say, if you haven’t had Vegan Treats, you haven’t what is arguably the best of the best when it comes to vegan bakeries. Having been in business for over ten years and catering to so many places on the east, they really know their stuff. Vegan Treats is so delicious and decadent and amazing I just can’t say enough good stuff about it. 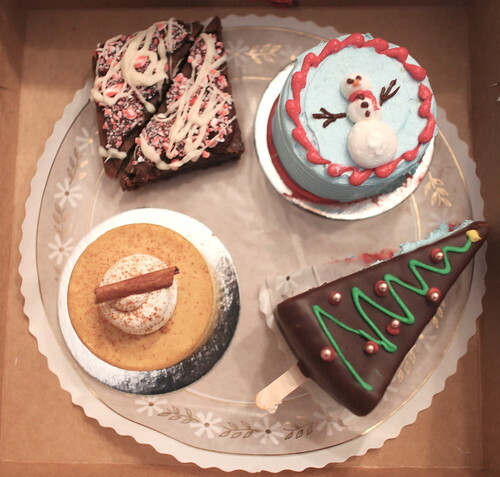 While there, we loaded up on desserts, going for anything with a holiday theme, and some donuts. Are they not the cutest desserts ever? We also had to show our love and get some hoodies to take home once the desserts were gobbled up. The new designs they have are possibly as cute as all the desserts. 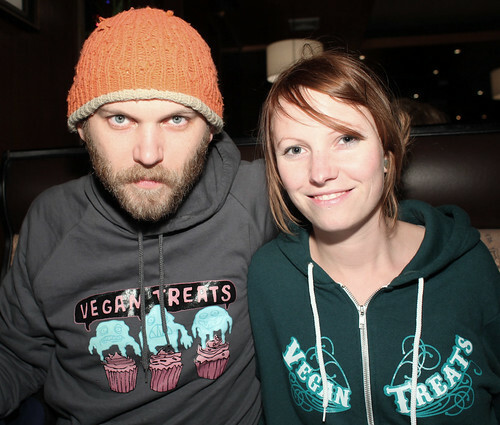 Luckily, now you can get some of their tee-shirts online (go support vegan businesses!). Unfortunately, since we traveled over the holidays, we were unable to go to a few sweet stops on the way, including Sticky Fingers Bakery in DC or Lula’s Sweet Apothecary in NY. We did get to make up somewhat for the lack of ice cream at Spiral Diner in Dallas, Texas. They had a small case filled with baked goods, including monster vegan peanut butter cups, but we were ultimately lured in to the sweet call of an ice cream sundae. Shawn picked out the Chocolate Mountain Mudslide, a brownie topped with their signature i-scream, chocolate sauce, nuts and whipped cream. I was going to order the Deathstar Sundae, another brownie topped with i-scream, espresso and whipped cream, but Shawn got the last brownie. Unbelievable! I stole a few bites of his as payback but nuts on ice cream freak me out. 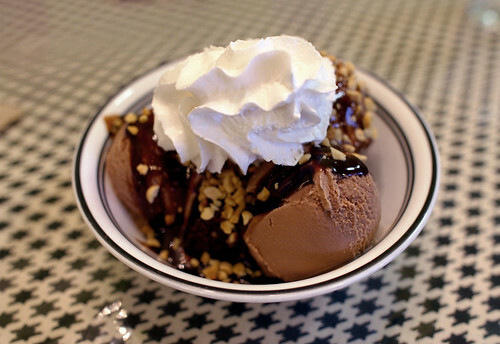 The i-scream and brownie were awesome though, and much more than you’d expect from a diner of any kind. Are you overloaded on sweets yet? Don’t worry, we’re done here for now. 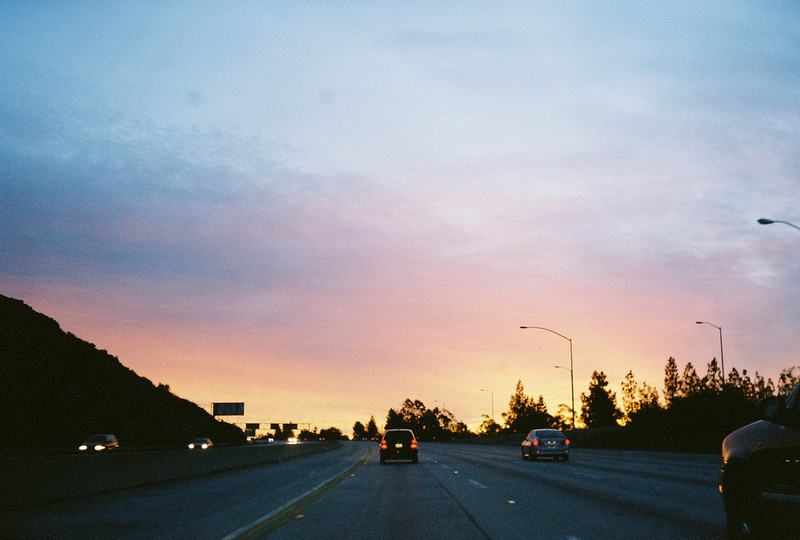 Next, we’ll be on our way home!